All of our Fire Doors are designed and custom made to your exact specifications and are manufactured to both UK & European standards for Fire Resisting Door assemblies. We are specified directly by leading architects and interior designers as well as supplying the construction industry directly. We constantly strive to provide a reliable service at competitive prices, we pride ourselves on the quality of our Fire Doors. Fire Door regulations and specifications can be complex so whatever you need to know, our friendly team have all the advice and answers. We manufacture bespoke Fire Doors, frames and screens in a wide range of materials and finishes that comply to British Standards. Our core values are to deliver exceptional and consistent quality both in product delivered and service, through providing both express and standard delivery schedules. Our philosophy is always to meet and exceed customer’s expectations. 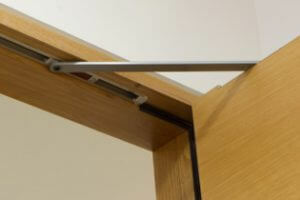 Looking for fire doors for your project?